Cloudy with rain ending in the afternoon. Thunder possible. High 62F. Winds E at 5 to 10 mph. Chance of rain 70%..
HUDSON FALLS — Michael “Morris” Allen Franzen, 60, of Hudson Falls, passed away after a short illness on Wednesday, Aug. 22, 2018 at his home, with his wife by his side. Born on March 24, 1958 in Glens Falls, he was the son of the late Theodore and Claudia (Thompson) Franzen. 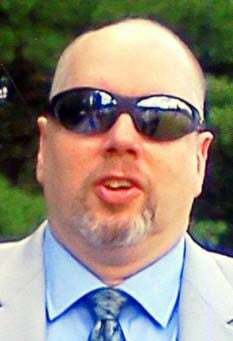 Following his graduation in 1976 from Hudson Falls High School, he attended Clarkson College of Technology in Potsdam. Mike graduated in 1980 with a Bachelor of Science degree in electrical engineering. After college, he was employed from 1980 to 2014 at NCR in Ithaca. Mike moved back to this area to be the brewery manager at Davidson Brothers in Queensbury and then in May of 2015 he began working for Ball Corporation in Saratoga Springs. On Oct. 2, 1982, he married Johanna Cerone in Deer Park. Mike was a member of the Glens Falls Elks Lodge and the Davidson Brothers Brew Pub. He loved playing golf, volleyball, cross country skiing, the “Angry Beavers” and his annual Memorial Day weekend camping trip at Battlegrounds. Mike also enjoyed riding around in his BMW, drinking craft beer and surfing the web on his computer. Besides his parents, he was predeceased by his father-in-law, Raymond Cerone; and his brothers-in-law, Daniel Cerone and James Cerone. Survivors include his wife of 35 years, Johanna Cerone of Glens Falls; his siblings, Deborah Lewis and her husband, Emrys, of Hudson Falls, and Jeffrey Franzen and his wife, Gail, of Cicero; his mother-in-law, Elinor Cerone of Deer Park; his sister-in-law, Cathy Cerone of Ohio; and several nieces, nephews and cousins. Friends may call from 2 to 4 p.m. Sunday, Aug. 26, at Carleton Funeral Home, 68 Main St. in Hudson Falls. Funeral services will follow the calling hours at 4 p.m. Sunday at the funeral home. The family suggests that memorial donations be made to the C.R. Wood Cancer Center, 101 Park St., Glens Falls, NY 12801.